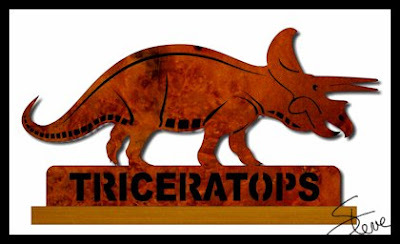 Triceratops Scroll Saw Pattern. $75 Giveaway is open for entries!!! Do you have a child or grandchild who loves dinosaurs? This 10.25 inch Triceratops would look cool on their shelf. 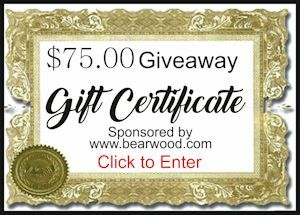 Just a reminder that the Bear Woods $75 giveaway is open for entries. 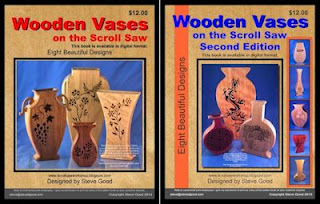 Win this and you will be able to stock up on some supplies for your projects. I am setting up these giveaways to require at least one action on your part. They will always be something simple. This month you will be asked to click a button that takes you to the sponsors web site. After you visit the site you will be able to complete the entry. It's that simple. No other obligations on your part. No purchase necessary. Just enter and win. 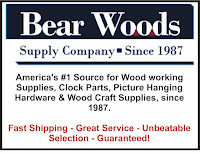 Visit the sponsor of this giveaway at www.bearwood.com for more than 1,500 woodworking parts, craft supplies, clock parts and picture hardware in stock ready to ship, plus over 1,000 items available by special order. I want to update you on the sponsor of our giveaway. Many of you were asking for a better shipping cost and Bear Woods has delivered. 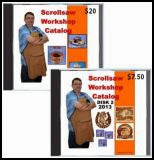 For small packages such as Pegas scroll saw blades you can now select Small Packet US Air and the shipping starts at $5.51. James(Stumpy Nubs) is one of my favorite YouTubers and a great woodworker. 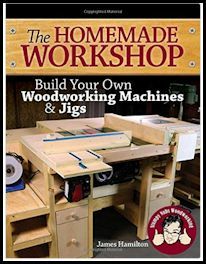 His book on building DIY woodworking tools gets great reviews. Check it out. Let's face it: Woodworking isn't cheap. Wood and materials alone can cost a small fortune. And well-designed commercial woodworking machines are often so expensive that they are beyond the reach of many home woodworkers. So what's a woodworker to do? Do what Stumpy Nubs does and build your own!